There are three candidates — one Democrat and two Republicans — certified to the ballot for the Delaware Municipal Court clerk position by the Board of Elections. The only Democrat, Emma Jones, is already certified to appear on the ballot in November, since she is unopposed by another Democrat. Depending on the outcome of the Republican primary, she will either face Cindy Dinovo, the incumbent, or Kris Jordan, who was elected as representative of the 67th District in the Ohio House of Representatives in November. There were no Democrats who elected to run for any of the Judge positions on the May 7 ballot. There are ballots for Republicans as there is a primary for the county-wide seat. There is no Democratic ballot on May 7. If you are a Democrat, you can still vote if there are issues in your precinct. You can do this by asking for an “issues only” ballot. Independents are, per usual, invited to vote on “issues only” ballots if there are issues in your precinct. Your party affiliation will remain the same as the one you declare (by voting in a primary on a party ticket) at this election until the next primary election with a candidate in your preferred party. Village of Ashley has a property tax renewal levy for parks and recreational purposes. Delaware City School District has two measures: One for a property tax renewal levy to provide permanent improvements. The second is for a bond issue for constructing school facilities; renovating, repairing, improving and constructing additions to existing school facilities;…and acquisition of land and interest in land. Tri Township Fire District is asking voters to approve a property tax renewal levy for providing and maintaining fire apparatuses, appliances, buildings … etc. City of Columbus precincts have issues to vote on. Part of one precinct of Northridge School District is in Delaware County, and they have an income tax and bond issue. Precinct Orange G has a liquor permit on the ballot. The Delaware County League of Women Voters believes that we can all make a difference to enhance our democracy. We can do this by educating ourselves about the issues and the candidates and then casting our vote. 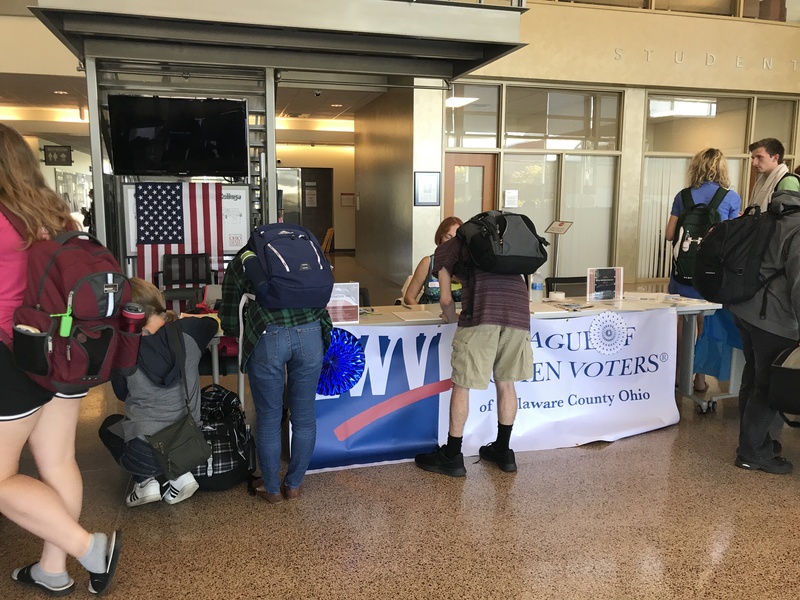 If you are interested in learning more about voting in Ohio, you can visit the Secretary of State's website. You can find voting rules, a calendar with all the relevant dates, and your polling place.